1101 Odell School Road Concord, NC. | MLS# 2069760 | Provident Living (704) 609-5362 - Jean Griswold - Your Trusted Real Estate Advisor - Call Jean for all of your real estate needs. 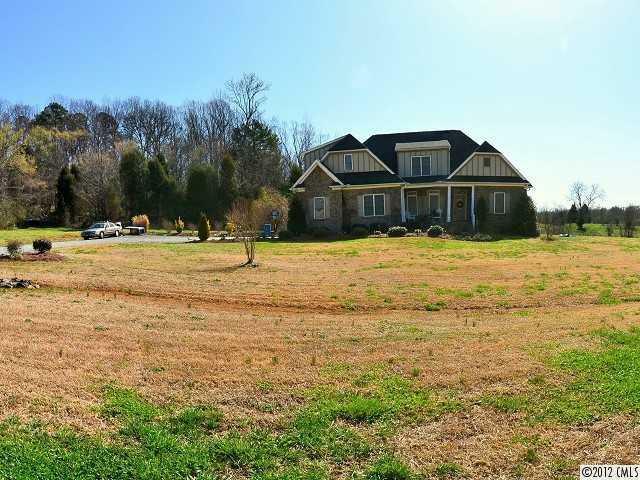 Custom-built home w/LOTS of upgrades on 2 acres not on main road (45' deeded ROW). Master bdrm down! Soaring ceiling & hdwd floors in grt rm; stone FP w/propane logs. Two secondaries PLUS bonus up. Rear screen porch overlooks pasture! SHORT SALE TO BE SOLD IN 'AS IS' CONDITION; LENDER MUST APPROVE OFFER. Short sale documents in MEDIA must accompany OTP. See agent remarks for addn'l information.